As a reader and writer of poetry, being a reviewer for Silk Road literary magazine has taught me a few things about the wide world of publishing. First off, there is a lot of material devoid of merit floating through the tubes of the internet. Secondly, there are a lot of journals and magazines that don’t publish certain kinds of pieces, regardless of the merit they actually might have. At Silk Road, we have been trying to find written work that lends an international perspective to an audience, and for some reason, I have had to sift through countless poems about death and approximately four poems about frogs. As a writer, one should probably find out which publishers accept which kinds of material before deciding which publisher he or she would suit best, and only then should a decision be made about where the piece is sent. Of course, this is all granted that a written work of a specific theme or genre is worth the paper it is printed on. Honestly, I am not pretentious, arrogant, condescending, dismissive, snobby, or presumptuous, but lately, I have been reading lots of good poetry, and it would be an understatement to say that basically every poem I went through paled in comparison. Now that that’s off my chest, I would like to say a few things about themes of poetry: Some are fitting, and some are not understandable to regular people. It pains me to say so, but readers constitute the entire reason that anything has ever, in the history of any language since the beginning of thought, been published, and most of those readers are regular people. Without the reader, one’s poem is pure catharsis, just as cutting cans with a samurai sword is. I have heard many a person say “people are stupid.” I have said that myself. During my stint as a reviewer, there have been many poems that seemed to not be about anything when I finished reading the last line. Some poets would tell me that I am stupid, and others would sit down with me and try to articulate the poetic motif that had struck their very hearts with an inspiring bolt of sluggish transcendence. Both of those poets need to work on their writing. Other poems I read during my reviewing stint were slightly entertaining and instructing, but Silk Road magazine was not a publisher that wanted anything to do with their subject matter. In the art of poetry, there is a cunning connection that one can make between style and content. In the realm of publishing, there is an immediate relation between what was written and what is desired. A great writer works with all of these aspects in a way that brings the written word to life, so to speak. A mediocre writer works with two of these aspects, if “what is written” is still being counted as one. There is just one way to fix a disparity between either association, and that is with research or study. Many of the students who work on Silk Road, and many of our readers and contributors, love writing enough to want to stay within the writing world, but may not want to be full time creative writers. I myself got a masters in publishing from Portland State University and do freelance work, but I have also been looking for publishing-related jobs since graduation not too long ago. I’ll share with you the resources I’ve discovered along the way along with a brief description of what you’ll get out of it. EFA members are people with a broad range of freelancer skills ranging from editing to translating and more. The association offers clients a list of freelancers (the members) from which to choose in hopes of matching the right freelancer to the right gig. Membership is subscription based as the organization is a member-run nonprofit where the board does not dictate, but involved members do. The association offers classes (reduced tuition for members) along with connecting members to jobs, and offers resources for freelance professionals to improve their skills. Even if you aren’t a member, many of the resources are still available, and most import to any freelancer are the common, and updated, industry rates, which can be found on their website. For freelancers starting out, Elance is a good place to look for clients. For a small membership price (there are different levels depending on your need), members create a profile and bid for jobs ranging from editing gigs, to ghost writing, to design, and even freelance telemarketing. Services are rated like an Amazon Marketplace seller, and payment is secure (Paypal is common). You create a profile that acts as a resume and shows past jobs and the ratings you got from them. You can also prove your skills with a skill-testing feature that rates your proficiency with a given platform as a percentile of individuals in the industry. Elance also lets you upload your portfolio so that clients can see samples of our work. New users can try it out free for ten project bids a month before they need to upgrade. Media Bistro is an online forum that keeps media-minded people up-to-date on industry news and research. It also has a large database of jobs that a member (membership is free) can search, either by location or industry. Their mission “is to provide opportunities to meet, share resources, become informed of job opportunities and interesting projects and news, improve career skills, and showcase your work.” The website and job database are updated daily, if not hourly, and is one of the most respected job search forums in my personal circle. BookJobs is a job an internship database, as well as a publishing industry resource. Their search lets you focus on certain areas within the publishing industry that are of interest. They also have a guide for matching college majors to specific focus areas within the publishing industry, noting that you don’t have the be an English or communications major to have a job in the publishing field. 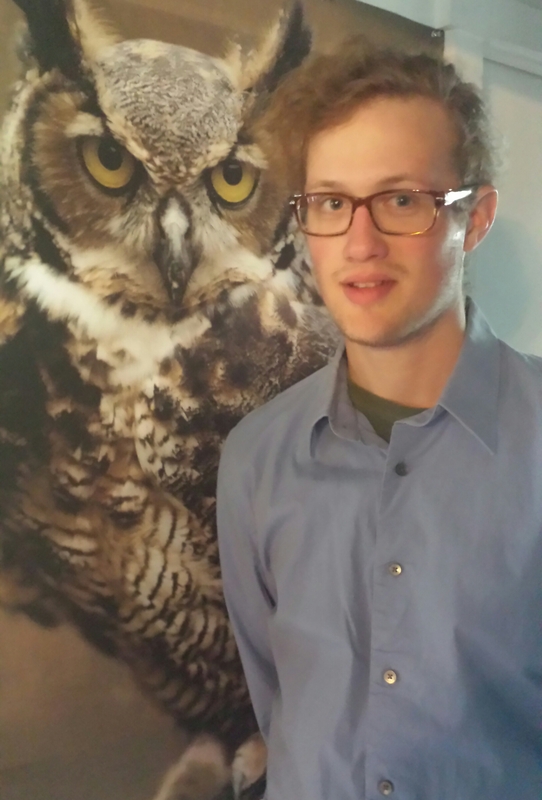 In fact, sometimes it’s better to be a business major than a book major. The unfortunate thing about BookJobs, however, is that it tends to be New York centric, but if you don’t mind relocating then this shouldn’t be an issue. Publishing related jobs don’t just live at the publishing house, but also in the corporate world. They are called communications managers, marketing copywriters, desktop publishers, among other things. Many different businesses from an owner-operated small businesses all the way to huge corporations need skilled editors and designers to handle their publications. Don’t count out how valuable your skills with language are to the world. It may come naturally to you, but it doesn’t to everyone. Keep your options open. Based on an interview with John Henley, the bookselling instructor at the Portland State University publishing program. You aren’t going to find many literary magazines in bookstores like Powell’s or Barnes & Noble. Unfortunately, literary magazines are not “a suggested retail practice, for a store needs all of its space to make money,” John Henley explains. Instead, the market for literary magazines like Silk Road is split between two places. The first is libraries, especially university libraries, and the second is subscriptions. Some magazines distribute evenly between these two markets, but many sell more to libraries and others sell more to subscribers. 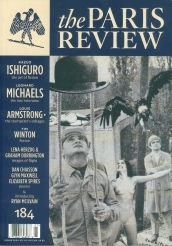 Ultimately, the decision about how to best sell a literary magazine depends on the content of the review itself: “The Paris Review, for example, is not usually for sale at any retail outfit at all and is available to subscribers—as most public libraries will have clients who object to the sexuality and avante guarde nature of the review,” says Henley. Although, Powell’s does often carry The Paris Review, even when there might be a naked woman on the cover (Spring 2008, 184). Oregon literary magazines are able to take advantage of the mandate from the State government that demands Oregon public libraries buy Oregon authors and Oregon publications. Oftentimes literary reviews will work together in order to gain more subscribers or buyers. Magazines often share mailing lists, hoping that if a subscriber purchases one type of literary review, he or she will be interested in another one with the same kind of content. Many literary magazines advertise in larger magazines, such as The New Yorker and The Atlantic, or other reviews with the same kind of content. For example, if a literary magazine publishes pieces in the science fiction genre, Henley suggests they advertise in Locus, as well as Amazing Stories. When a literary magazine is produced through a university, the English Department often aids in its publication and advertisement. Usually there are several professors who have either edited, founded, or are somehow connected to the literary magazine, who also help with its production and the selling of the review. One final avenue for selling literary magazines is through the internet. Subscriptions are often less expensive when an online format is purchased, due to savings in costs of paper and shipping and handling. Literary magazines, such as Silk Road, are able to advertise their content on the internet with little to no cost. Some magazines have blogs, like this one, which help to connect readers to the content of the magazine and hopefully inspire interest in furthering a subscription, or even beginning a new one.